Excellent riding with overnight at a unique and welcoming country Guest House. We all look forward to welcoming you on The Begwns Trail. Horses fed and tacked-up, stirrups adjusted, girths tightened, maps and routes studied and checked – now climb or leap into the saddle and ride out onto the Begwns trail, an atmospheric expanse of bracken covered hill offering panoramic views across Wales and back across the Wye Valley to the Black Mountains and Brecon Beacons. 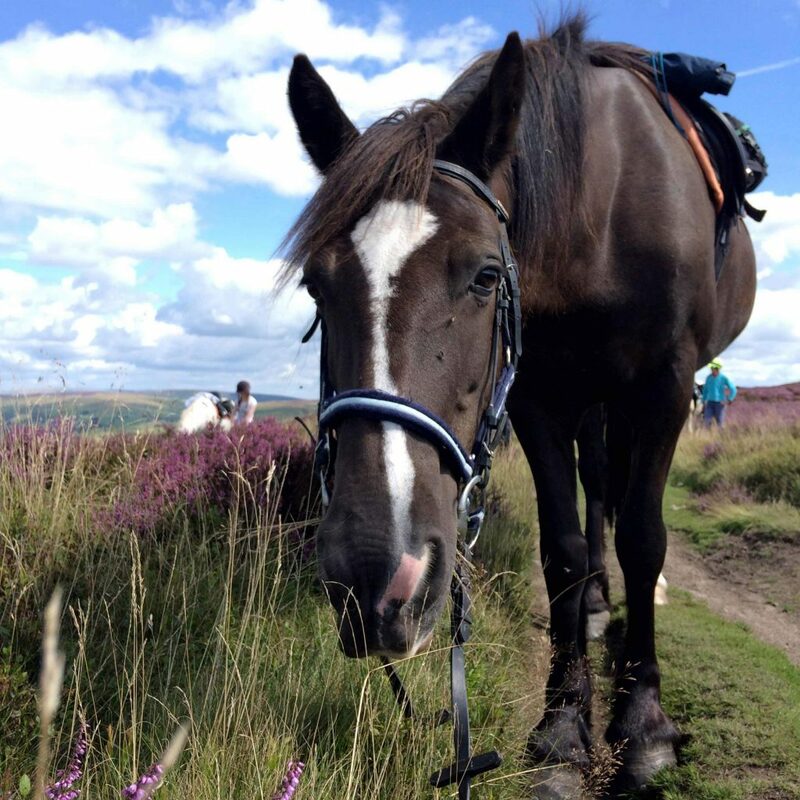 This is the ideal start to a horse riding holiday for Freerein riders – wide firm grassy tracks between the bracken make for easy route finding and good canter opportunities. Drop down from the Begwns before crossing the valley and climbing gently uphill to Painscastle. After lunch you climb out of Painscastle passing the mysterious ‘Ireland’ – an abandoned hill farm – and onto the heather covered moorland of Red Hill heading for Newgate or Goblaen, your overnight stops. These are not licensed so if you would like drinks for the evening just add them to your luggage for us to deliver. Your mounts stay close at hand in one of the farm’s fields. 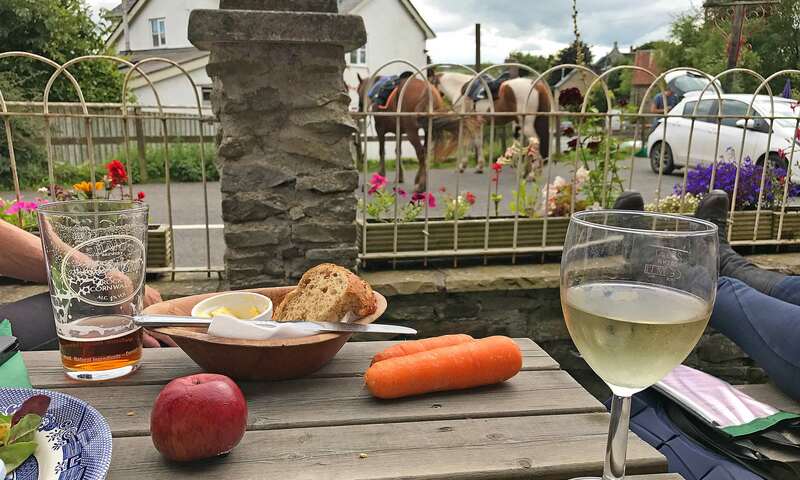 All these trails return to Freerein with a choice of routes which allow ample time to amble through the hills, make detours along Llanbedr and Rhulen Hills and enjoying the canters on good grassy tracks through the bracken. You also have the opportunity to pass through Painscastle for a leisurely lunch. All routes then rejoin the north west corner of the Begwns. The trail then takes you on the other side of the Begwns with a detour to the highest point (the roundabout), highly recommended to take in the 360 degree views. From here you can see some of the terrain already explored and the scope for future holidays. 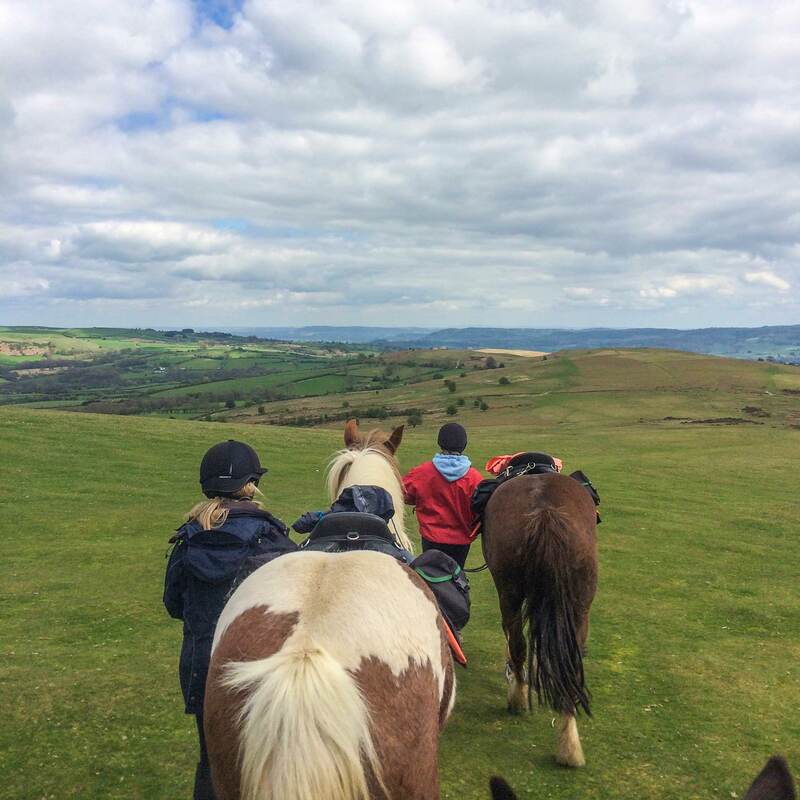 Finally – drop down off the hill and return along the quiet lanes and through Cwmsirhwy wood to Freerein HQ. Arrive at your accommodation, untack, feed & turn your horses out in the field. Relax for the evening and enjoy a home cooked meal. Fantastic riding on great horses in the stunningly beautiful welsh countryside.